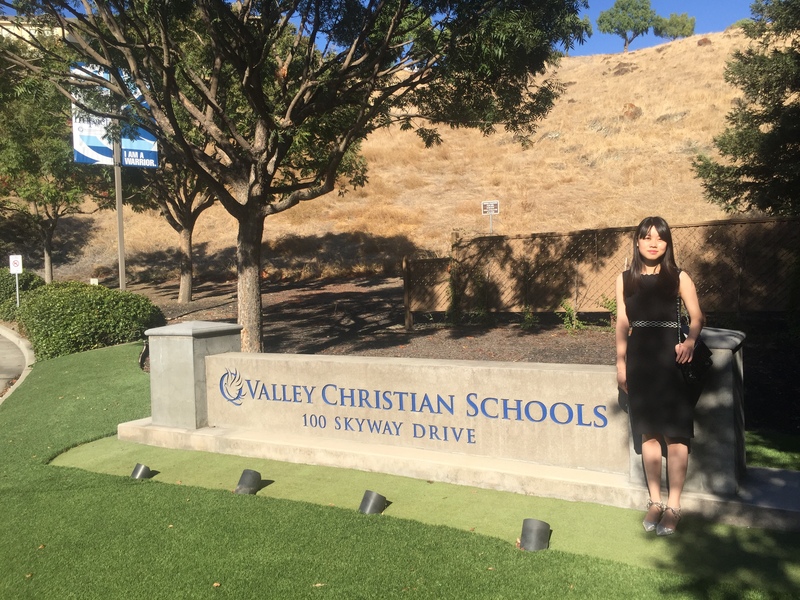 Sophia Xie, the Director of the American Homestay Services (AHS), visited all of the students, host families, and school partners in the San Diego, Los Angeles, and San Francisco areas during October 2017. This highly packed trip was designed to close the gap between AHS, the school partners, host families, and the students by experiencing their daily living environment, as well as to introduce the AHS vision and expectations to all partners. This trip served as a chance to acknowledge our appreciation of the host families that are providing extraordinary care to our AHS students. A face to face meeting is highly valued by our school partners. Sophia visited multiple schools that our AHS students are attending, toured campuses, and exchanged our expectations with the school partners, as well as learned from them, creating meaningful dialogue and expectations to support our AHS students. These meetings greatly improved our mutual understandings about the international students’ cultural and academic adaptations and how we can better plan and guide our AHS students and their families. Sophia also visited our local host families and was invited to have dinner with them in their welcoming homes. Her takeaway from all these meetings: our host families are very hospitable and take very good care of our students. This trip began a series of trips across the country to meet with all of our students, host families, and partners nationwide. Sophia Xie, together with other senior consultants at the AHS, will deliver our mission and vision to all of our clients and partners, as well as meet with participants in person to ensure that our care and welcome is extended to all who share in the work of AHS. Established recently in 2012, American Homestay Services is a CSIET (Council on Standards for International Educational Travel) certified educational service provider that offers comprehensive support to international students seeking homestay across the United States. With our headquarters based in Pittsburgh, Pennsylvania, and branch offices in Los Angeles, San Francisco, Seattle, and Beijing, we are ideally situated to welcome students into U.S. schools. AHS strives to ensure that children and adolescents are given an authentic American experience by matching students with one of our registered host families. We aim to create a stress-free experience for our host families by offering experienced coordination and managing the bulk of the homestay. As of the present, our agency has utilized a network of over 1000 host families across the country to successfully serve over two hundred middle and high school age students from abroad. AHS collaborates with over fifty schools in various districts, both public and private, affording students a multitude of choices to suit their individual talents, needs, and educational goals.